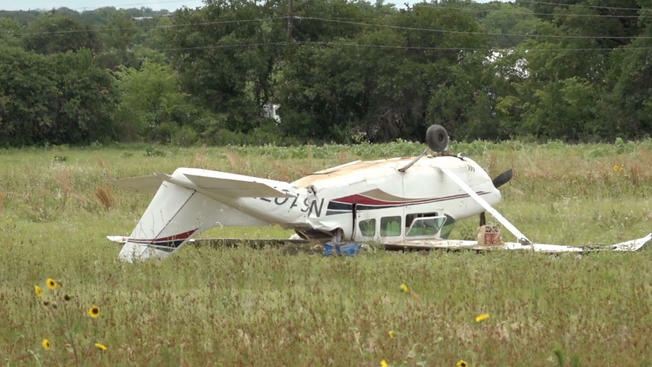 On June 17, 2018, at 0830 central daylight time, a Cessna T210F airplane, N6107R, nosed over during an off airport forced landing in Desdemona, Texas. The private pilot and one passenger received minor injuries, and a second passenger was seriously injured. The airplane was substantially damaged. The airplane was registered to the pilot and operated as a personal flight under the provisions of Title 14 Code of Federal Regulations Part 91. Visual meteorological conditions existed near the accident site at the time of the accident, and a flight plan had not been filed for the flight. The airplane departed the Dublin Municipal Airport (9F0), Dublin, Texas, about 0820, en route to the Gregory M. Simmons Memorial Airport (GZN), Cisco, Texas. The pilot stated that the engine began running rough during cruise flight at 2,400 ft above mean sea level. He leaned the fuel mixture and the engine roughness subsided. A few minutes later, the engine began running rough once again. He switched fuel tanks and there was no change in the engine operation. Shortly thereafter, the engine lost power. The pilot made a forced landing in a soft, sandy field and the airplane nosed over. The initial postaccident engine examination revealed the engine remained attached to the airframe. Various wires, cables, and hoses remained attached to the engine. The top spark plugs exhibited normal wear but were dark in color and oily. The cylinders were examined using a boroscope were unremarkable. The engine was then removed from the airframe and shipped to the manufacturer for a test run. The engine was placed in the test cell and started without hesitation. The engine ran at 1,200 rpm and 1,600 rpm with the fuel pump mixture control at full. After 2 minutes of run time, the engine power started to oscillate. The engine was shut down and the mixture control was adjusted to about half of where it was originally set. The engine was started again and after 1 minute and 20 seconds the engine power again began to decrease, with the fuel pressure reaching 40 psi, which was 8 psi higher than the maximum unmetered flow limit of 32 psi. The fuel pump was removed and placed on a test bench. At full power, 2,700 rpm, the fuel flow was about 170 pounds per hour with a fuel pressure of 92 psi. According to the engine manufacturer, the fuel pressure should have been between 29 and 32 psi. The adjustment screw was set to a fuel pressure of 30 psi and the pump was reinstalled on the engine for another test run. The engine was restarted and run up to 1,600 rpm. The rpm slowly dropped to 1,498 rpm. The engine power was increased to 2,552 rpm and the fuel pressure stabilized at 30.18 psi with smooth engine operation. During the initial engine run the engine was observed to have excessive manifold pressure. During the second engine run the turbocharger controller was adjusted to maintain normal manifold pressures.